Let’s just say that with the little flu Clif and I have “shared” for the past week, cooking has not exactly been inspired at the little house in the big woods. For two or three days, I didn’t feel like eating much of anything: toast, tea, and my standby when I’m sick—Campbell’s Chicken Noodle Soup, which I will not touch when I’m well. Just as I started to recover, Clif caught what I had, and his normally robust interest in food dropped sharply. By mid-week, I was done with Chicken Noodle Soup. 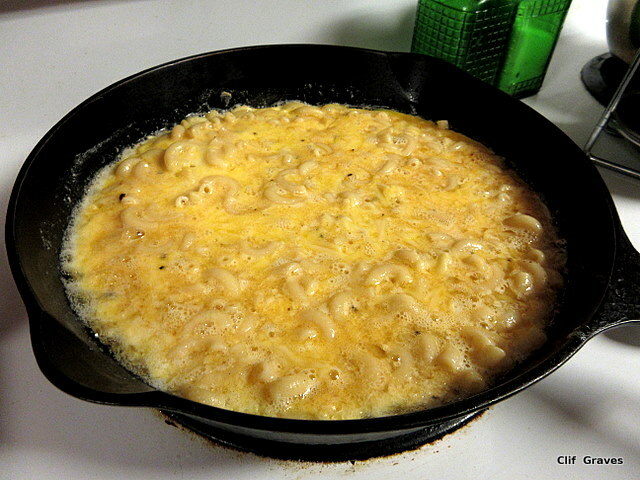 I was ready for something filling yet comforting and very easy to make. Although I felt better, I wasn’t up to tackling a major cooking project. Clif, who was two days behind me in terms of wellness, was even less motivated to cook. And who should come to the rescue, just when I needed it most? None other than the inimitable Mark Bittman, a journalist and food writer for the New York Times. (Bittman has recently left the New York Times to be a Fellow at the Union of Concerned Scientists.) On Facebook, bless its heart, I saw Bittman’s recipe for Pasta Frittata, and it was exactly what I wanted—-simple and not too spicy with only a handful of ingredients, all of which I had. Rather than cutting up spaghetti or linguine, I just used macaroni. No cutting necessary. 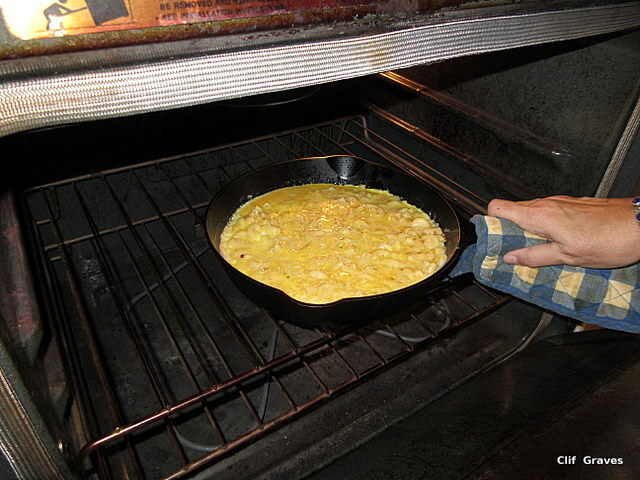 Because Clif and I still felt under the weather, I made the most basic frittata imaginable—pasta, eggs, butter (olive oil could be used instead), Parmesan cheese, and salt and pepper—and I followed Bittman’s instructions for cooking the frittata partly on top of the stove and partly in the oven. Readers, the frittata came out beautifully. It was just what we wanted. I cut up some of Farmer Kev’s carrots, boiled them, and served them as a side. This was the ultimate comfort food—easy to digest, delicious, and nutritious. 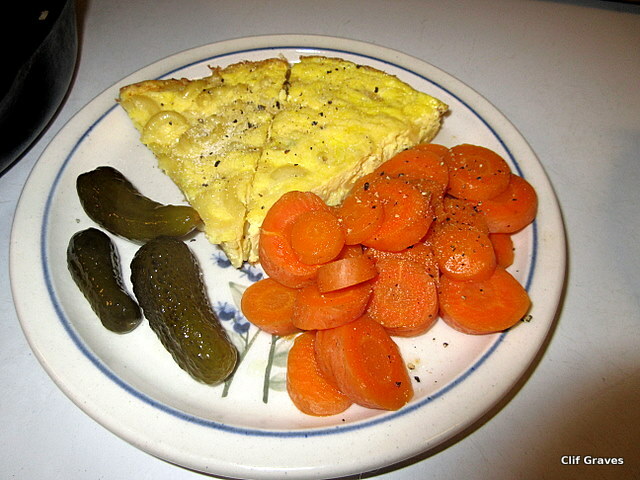 Best of all, like a quiche—surely the frittata’s cousin—it reheated well and was just as good leftover as it was when originally made. Who could ask for anything more? Well, maybe I could. Next time I make it, I will add this and that to the frittata to make it a more substantial dish. Chicken sausage, sweet red peppers, and mushrooms would all be possibilities. Fresh basil or dried oregano, depending on the season, would also be good additions. I would also try substituting cheddar for the Parmesan in the frittata but still sprinkle Parmesan on top when it came out. 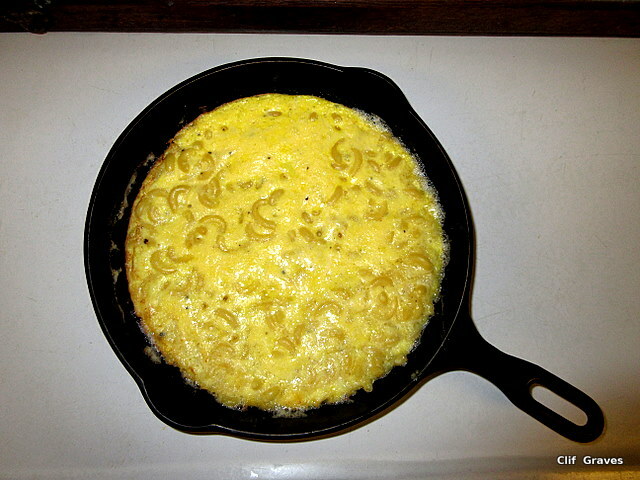 In fact, with the variations, I think this frittata would be good enough for company, either as a light main meal served with a salad and crusty bread or as an appetizer for a party featuring nibbles and nuts. Either way, this frittata is a definite make again for when we are both feeling better. Eliza, we are actually feeling much better. And a good thing, too, as we are getting together with “the kids” tomorrow for Clif’s final retirement fête. Glad to hear it. Have fun tomorrow! FINAL retirement fete? I’ll believe that when I see it! Jodie, I think this is it! Now on to retirement. Just the job. I trust you are feeling identification vibes coming through the ether. I am, Derrick! I am! Thanks, Johanna! We really are feeling much better. Hope your weekend is lovely, too.